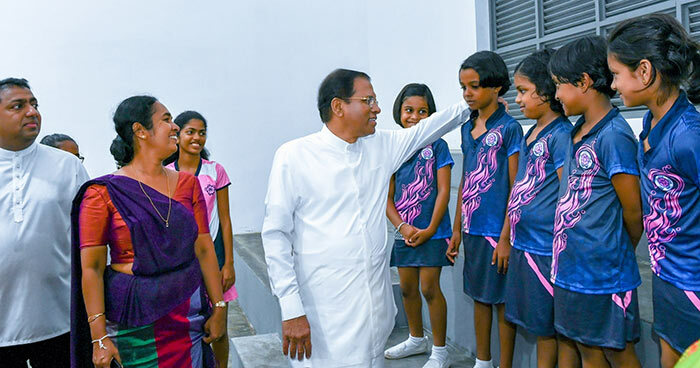 President Maithripala Sirisena says during the past three and a half years, the government has done a lot to strengthen the free education system as the future of the country and the nation depends on educated citizens. As the government is engaged in an extensive programme to strengthen the free education system, all who have benefited from the free education system should give back to the motherland as responsible citizens. He made these remarks participating in a ceremony to vest the newly built indoor stadium at the Sirimavo Bandaranaike Vidyalaya in Colombo with the students, yesterday (02). The President was warmly received by the students of the school when he arrived at the venue. President Sirisena opened the indoor stadium by unveiling the plaque and he also undertook an observation tour around the indoor stadium. 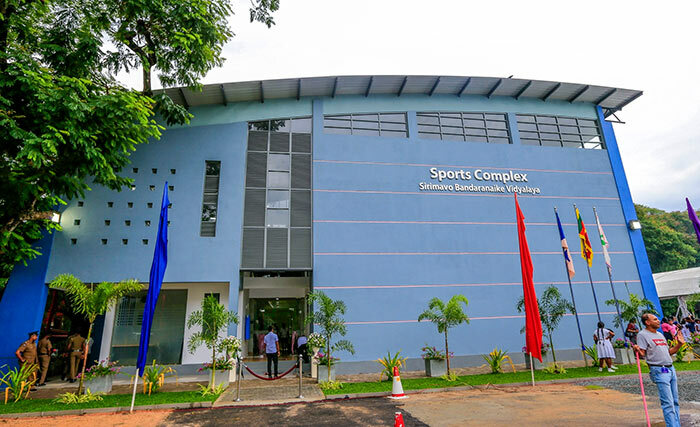 This state-of-the-art indoor stadium was built with the sponsorship of the School Development Fund and Past Pupils’ Association of the Sirimavo Bandaranaike Vidyalaya whose students have excelled in sports. Addressing the gathering, the President further stated that Sri Lanka’s free education and free health systems highly appreciated by the international community. President Sirisena presented awards and prizes to the students who excelled in school activities. The President also felicitated two teachers who rendered an outstanding service for more than 23 years. The Principal of the school Mrs. R.A.M.R. Herath presented a special memento to the President. Minister of Education Akila Viraj Kariyawasam, and other distinguished guests and retired principals of the school, teachers, past pupils and parents were present in this event.